What is the Krack Attack? Imagine your WPA2 WiFi security is not insecure. Imagine now that some one can see what you send on the Internet, and they can re-direct you Internet search or connection to a site they choose; a site that is infected with malware? Now imagine there is a fix coming for the problem, but for a little while, you are going to have to grin and take it? Nameless WiFi wireless router that is vulnerable to Krack Attack due to a WPA2 flaw. What is the Krack Attack? What it means to the everyday business and consumer of Internet is this… “The security for your WiFi device does not work 100%. Huston, we have a problem.” There is a very real way for you to get really hurt by your WiFi devices. This is too real a problem to ignore. The flaw was discovered by Mathy Vanhoef, which can allow attackers on to your network if they know how to manipulate the vulnerability. Historically, we used a WEP encryption system years ago on our wireless routers and WiFi devices. The bad guys figured how to break in, and we moved over to WPA2 security. Now the bad guys have figured out that there is a flaw in the WPA2 system; and there is currently no new system to move to. The Krack Attack is here. Currently WiFi router companies, and those who make WiFi components, like Internet cards and other such internet devices, are rushing to create a solution for this Krack Attack vulnerability. Our KNIGHT in SHINING ARMOUR is coming over the hill will be a software update; also know as a firmware update. There is still a debate out there as to how bad the Krack Attack flaw is. Opinions vary on this matter. None of use expected to be in this place. But one thing is for sure, the mainstream media is not talking about this very topic much. Maybe because it is too technical for them, or they just do not fully understand how bad this could be? Me: My social media class wants to know how bad this hack is in your eyes? Very little in the news. What are your thoughts? D.J. : It’s all about threat models. If your business is in selling WiFi, it’s huge. If you’re a military installation with no WiFi, this isn’t even on your radar. It’s all about measuring risk. This isn’t huge to the average consumer, but might be detrimental to defenders. Me: I wonder D.J about the potential threat to businesses and the info they push and pull through WiFi? Me: I wonder if the bad actors will try to exploit this opening while it remains unpatched and vulnerable D.J. ? D.J. : I’m sure some will, but the attack requires proximity and time. That decreases the risk a lot for people in lessly dense populated areas. People in large cities and/or apartment complexes should be more concerned. Those with ISP provided boxes will be most vulnerable. This problem is going to require a fix in the form of a patch, aka, the software update or firmware update. This is a very complicated problem that is going to require a complicated fix, which we ourselves cannot provide. We have to take the Hurry Up and Wait Approach. What can the Krack Attack do to me? Fortunately, right now there are few actors who can actually benefit from this WiFi WPA2 vulnerability. YES there is a flaw that is out there, and YES it is a bad one, but the good guys are trying to race the bad guys to the fix. What could happen to you? The attacker could re-direct you to a website that is full of malware, think really bad viruses and you will get it. The attacker could also intercept and read all your Internet traffic. Well you say that you have nothing to hide? I hear this a lot by the way! How about your bank card number, your password to Facebook, your website log in credentials or even customer information? Our everyday life is spend on the Internet in one form or the other. The Krack Attack is going to make the next little more of a pain in the backside for many if someone actually figures out how to really exploit the flaw. Maybe we should say a special prayer for the good guys to hurry along with the fix? What is the best thing I can do right now? The first thing you can do right now is NOT panic. This flaw has been out there for a few months. Wireless router companies are working hard on a fix. Even the big guys like Microsoft, Apple, Android, and any other WiFi device manufacturers, are creating software updates to help fix this vulnerability. “In general, Windows and newer versions of iOS are unaffected, but the bug can have a serious impact on Android 6.0 Marshmallow and newer. The attack could also be devastating for IoT devices, as vendors often fail to implement acceptable security standards or update systems in the supply chain, which has already led to millions of vulnerable and unpatched IoT devices being exposed for use by botnets. So what can we average folks do today? You can be hard wired into the Internet for now. Instead of WiFi, you can use the blue cable that plugs into the wall and into your computer; the cat-5 cable – the blue one. You can check your WiFi router to see how old it is. If it is 1 year or 2, chances are that there will be a router firmware update in the near future. 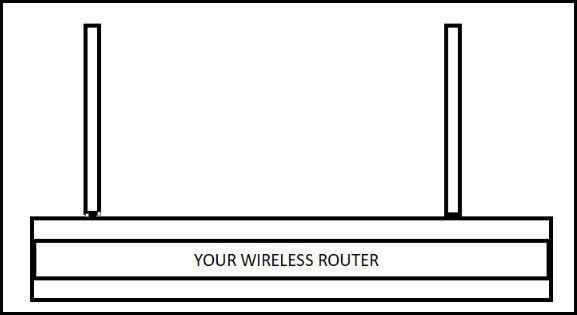 You should contact your computer guy to see if your wireless router makes the cut and can be updated. If you have an all in one wireless router from a major Internet Service Provider, like Bell or Eastlink – “My local big Internet guys”, chances are that they will force a software/firmware update onto your wireless router in the near future; probably in the middle of the night when you are sleeping. They will update the router and it will reboot/restart. If you have a wireless router from a company, who does not supply your Internet, such as Linksys, Netgear or Asus, you may have to install your own firmware update when it becomes available. Fortunately, your computer tech can help you there with that. You might use a VPN, short for virtual private network, that encrypts what goes down the Internet pipe. This will be much harder to break into, but still not impossible. I am investigating this route. Please note, there will be a downside to using a VPN when it comes to speed. Bottom line, if you are not sure, ask a GEEK! We should already know a geek/computer repair guy who is knowledgeable about this problem and is awaiting the fix. One key thing to remember is that your old wireless router, or laptop wireless card, might not be able to receive the software/firmware update. In that case, I see new stuff in your future. Every device that uses WiFi will need to be updated. That means your phones, your laptops, your desktop computers, your wireless router and anything else that uses WiFi to connect to the Internet. Sad to say, some devices will not be able to update and be fixed. But before you tell your significant other that I said you can go out and buy all new stuff, check with a computer guy who knows his or her stuff. Let them advise you about what to do next. The fix could be a week to a few weeks out. Please try to use a wired connection where possible. For some, going to a VPN service makes sense. You were already thinking about it. Go get it done. It is always better to ask questions and get an answer you understand. This problem is not the end of the world, but it sure is not a bed of roses either. Note: If I have missed anything out or need something changed, please send me a note on my contact form. This subject is way too important to get wrong. If you found this article helpful, please help other s to be aware of this. Let’s get the word other there. Many companies are pushing out patches for your WiFi devices as of this date. Please make sure you update your devices that use WiFi. Jeff Brown is the Founder & CEO of Alpha Social Media inc. Jeff is a certified Workplace Education instructor with the Department of Labour & Advanced Education with over 6640 plus hours of training delivered in Nova Scotia. He is the author of "Essential Twitter Skills for Business".